Out of all the structures that go into creating a building, none takes more of a beating than the roof. That is why we suggest all business owners put a maintenance plan in place from the first day their commercial building’s roof is installed. 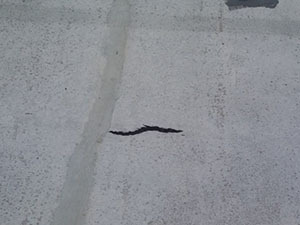 As a full-service commercial roofing company,of more than 20 years, we at Capital Coating, Inc., have seen our share of improperly maintained commercial roofs. 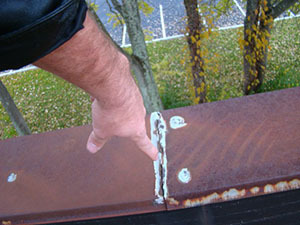 Once your roof starts experiencing issues, it can be more difficult to handle. Call Capital Coating, Inc. today for your free consultation and estimation – (717) 442-0979 – and to see if our customizable maintenance plans are right for you! Time after time, we see commercial roofs being replaced before their time. At Capital Coating, we always consider the viability of repairs or upgrades like roof coatings before recommending a complete tear-off and replacement. Having a maintenance plan in place early on can ensure it is many years and even decades before you have to consider a roof replacement. Decreased Rate of Aging – Your roof’s service life can be dramatically decreased by poor installation and neglect. Working with professionals to install and maintain your roof appropriately can make sure you get every year possible out of it, and perhaps many more. Small Repairs – Regular maintenance can reduce the amount of money you spend on repairs annually because the issues are generally caught while they are small and before they grow or spread. Peace of Mind – Having a professional company scheduled to handle all your maintenance needs has two benefits: 1) You know the repairs are being done the right way, and 2) You don’t have to remember the twice-a-year-inspections – that’s our job. Less to worry about. Quality Service: We believe in delivering top quality services to clients via the best products and unmatched workmanship. Experience: Our team has more than 20 years of experience in the roofing industry. Affordable: Our services are competitively priced and comparatively superior. Satisfied Customers: We have a huge base of satisfied customers. Customer Care: We provide 24/7 customer assistance. Ask any of our previous clients in or around Harrisburg, PA, and they will tell you Capital Coating, Inc. is the best. But don’t just take our word for it. Experience it yourself. Call us at (717) 442-0979 today!